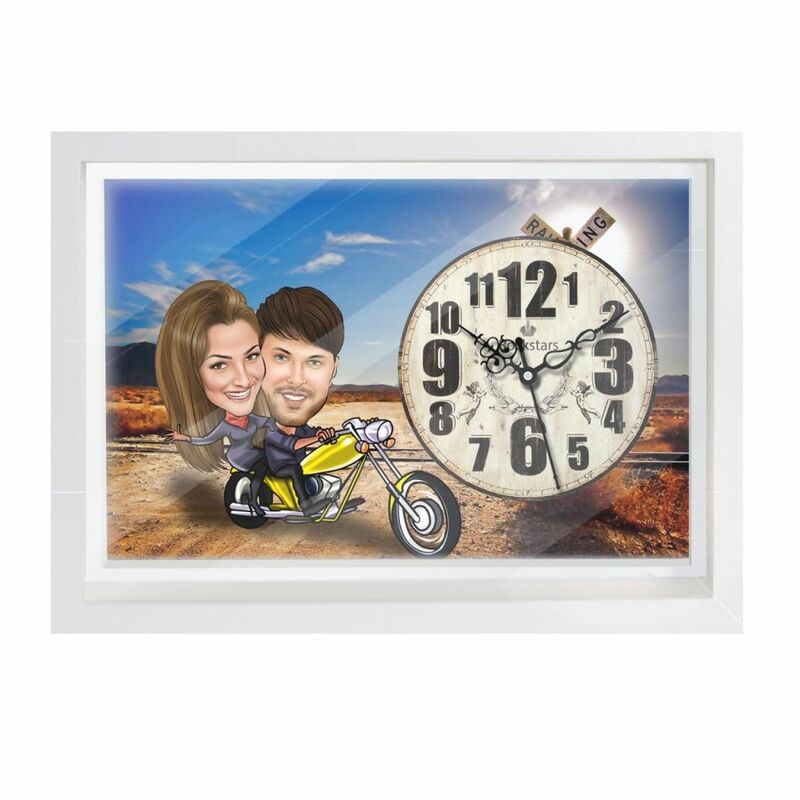 Vintage themed caricature canvas wall clock is a perfect gift for creative couples. 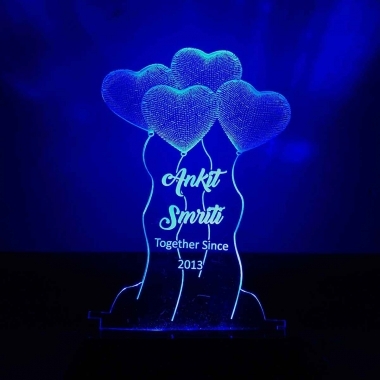 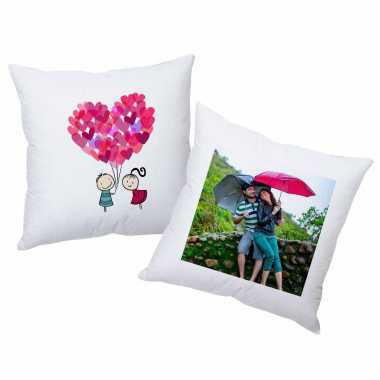 Here the faces will be customized as per your choice. 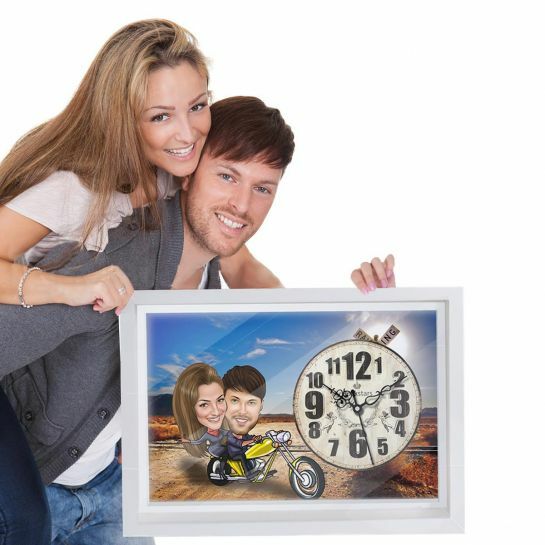 Our caricature artist will draw your caricature faces or the couple's you are gifting this to. 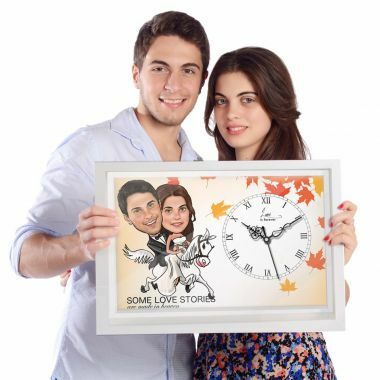 The canvas clock is a unique gift product and a cool surprise gift option.